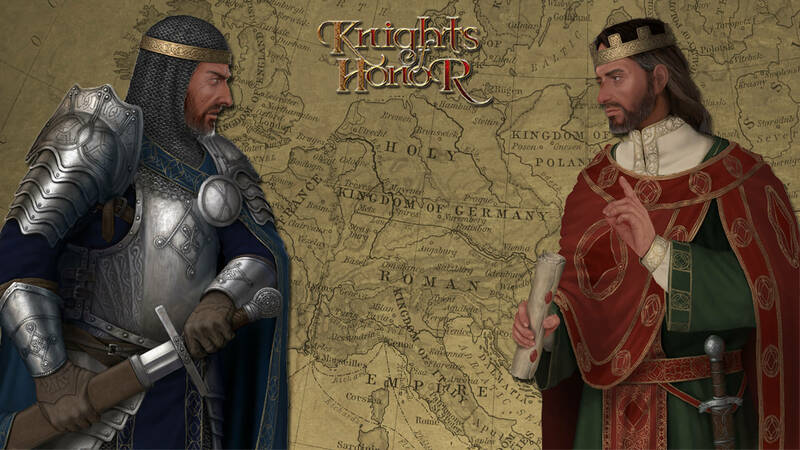 Home Nostalgia Gaming	Have You Played… Knights of Honor? 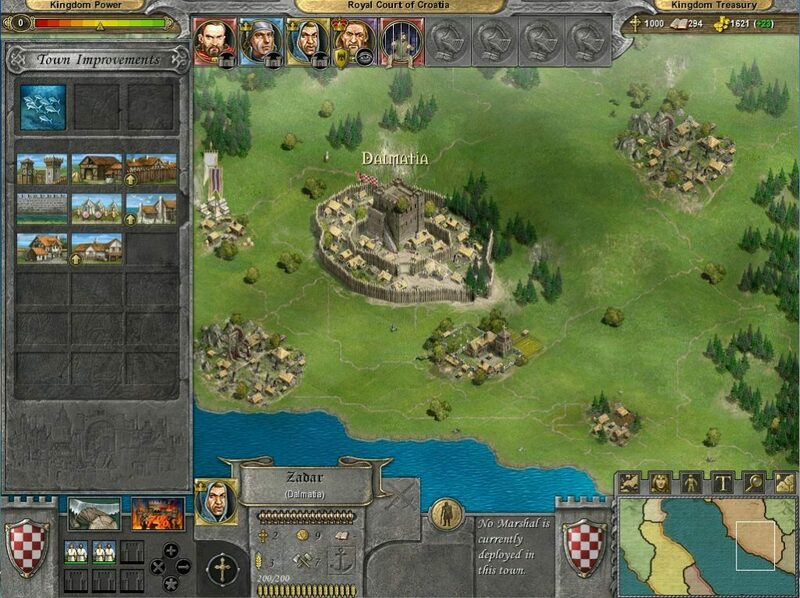 Knights of Honor is an RTS, a real time strategy game set in medieval Europe, enabling the player to take charge over one of the hundred kingdoms to his/her choosing. It was developed by a Bulgarian game developer Black Sea Studios in 2004 that is also known for 2008 sci-fi strategy Worldshift, which received mixed reviews. Crytek bought the studio in 2008 and had it working on its own MOBA titled Arena of Fate, but there was not much progress and the title has been quietly canned in the light of recent Crytek financial problems. Crytek sold the renamed Crytek Black Sea studio to Creative Assembly, which now bears the name Creative Assembly Sofia. The game was released in 2004 in Europe by Sunflowers Interactive, a developing and publishing company from Germany that is well know for Anno series (Anno 1602, Anno 1503 and Anno 1701 – and yes, this is the proper publishing order of these titles!). Sunflowers Interactive Entertainment Software was eventually bought off by Ubisoft in 2007, renamed to simply “Sunflowers” and then closed down. Ubisoft kept developing Anno series. Paradox Entertainment published Knights of Honor in North America in early 2005, giving it its own seal of approval. You can start with any state, no matter how small, and have a reasonable chance to succeed! 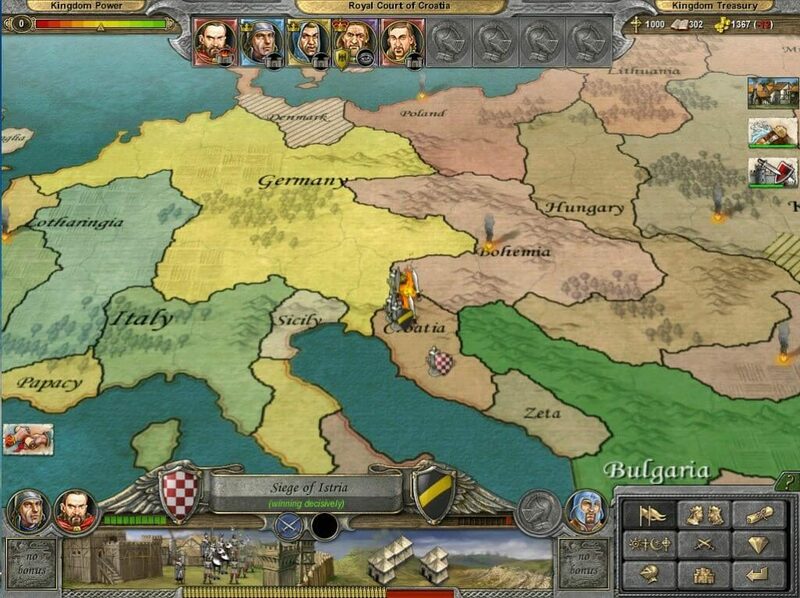 Knights of Honor is played on a large Europe map divided into provinces. Each province has a main city and several areas that can be developed for predefined different purposes, such as towns, farms, monasteries and coastal towns. Naturally, it is not possible to build all types of buildings in a single city, so the player needs to specialize certain cities for certain roles. These buildings give bonuses to the area they are built in, so that it is recommendable to stack buildings and bonuses of the same type. The beauty of KoH lies in a fact that it is a simple game, fun game with a compelling atmosphere. 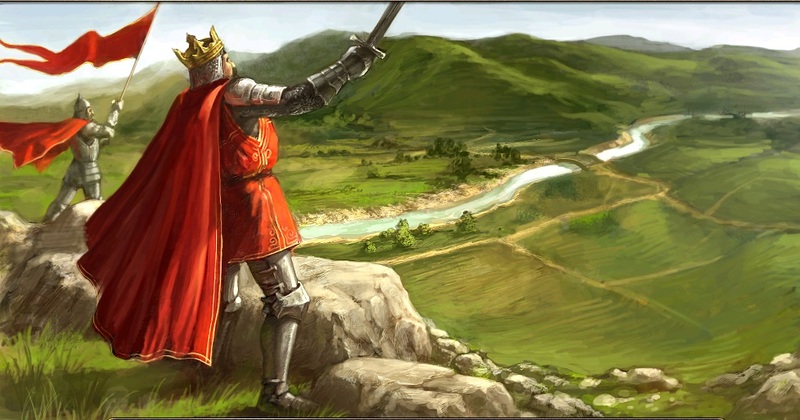 Although it is lacking a multitude of options of a Crusader Kings title, it is however perfectly covering all the major aspects for the games of this type. Additionally, it is an open ended game. There is no date set, no goal other than to survive and, well, become a ruler of Europe. If you can pull it of, that is. Resources are limited to money, piety and books. You earn money by taxes and trading and use it to build your provinces and train units, piety increases your kingdom power and enables you to convert conquered provinces whereas books serve to educate your units. The religion is extremely important in Knights of Honor. There are four different types of religion vying for dominance; The Catholic Church in western Europe and Mediterranean, The Orthodox Church in south east Europe, Islam in the North Africa and middle east and finally Paganism in Scandinavian countries. Paganism is the smallest religion type, the underdog of this clash (reflecting the actual status in these ages), having the worst relationships with other religions. The religion has a wide impact on relationships between states, for example, Catholic states need to obey the orders from Pope, avoid attacking their fellow states or they may find themselves as a target of a crusade. Additionally, player can even manage to install his own Pope, with additional ability to excommunicate those standing in their way or calling crusades. The fun times of medieval age! The game’s atmosphere is its greatest asset. Finally, something worth noting are the special units that every court has at its disposal. Marshall is a general that commands the troops and gives bonus to own troops and cities. Spy is a very fun unit, since it can infiltrate the enemy state and assume (if successful!) the position of one of the Knights of the enemy ruler. From that position, he can instigate rebellions, steal money or cause religious discontent, depending on which role he assumed. Merchant knight brings in extra resources while the Cleric is the religious head and produces books, increases loyalty and converts population in conquered provinces. Landlord gives a buff to food production whereas the Builder provides more worker for a province so it develops faster, but also recovers faster from enemy raids. Knights of Honor still feels like a very fun game and I have enjoyed going back to it. While it can’t be compared to modern strategy games for medieval era, it has its own, firm place in the genre and a following of dedicate fans. From these came a number of very interesting mods, of which I would recommend the Ultimate Edition Full HD and Complete Mod Pack. But even without these awesome additions (the gameplay you have seen is entirely vanilla game) Knights of Honor is still fun and worth playing. It has weathered the challenge of time nicely, so if you are a strategy fan who likes this specific time era, make sure you don’t miss out on this game! NOTE: Unfortunately I was unable to produce a video capture with my programs, even though I wanted to make a video with gameplay rather than a mere article. Happens a lot, when it comes to old games, unfortunately.